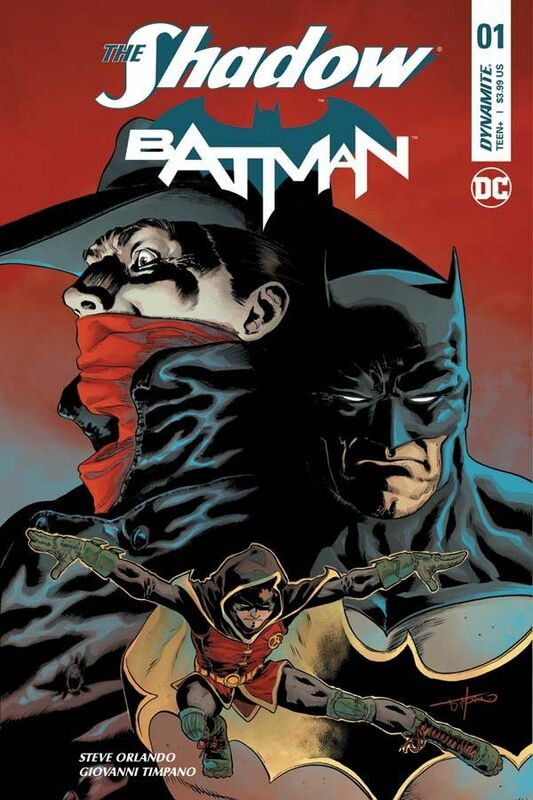 Pull list #1’s Week continues with the finale: a DC/Dynamite title. I wanted to spread the love around the Big Two…I reviewed too much Marvel this week, but to be fair, it’s been a big couple of weeks for Marvel. Anyway, here’s some Batman…and The Shadow. I saw this issue on the shelf at my local comic book store, and grabbed it to balance out all of the Marvel titles that I had in my hands. I thought…you know what?? 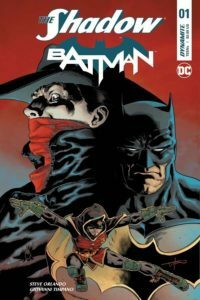 I need a bit more DC in my life, I miss Batman, and I don’t know much about The Shadow, so let’s do this! So going in, I was excited! The problem is, there is not much of The Shadow in the issue. I’m sure he’s coming later, but for now, he appears on exactly three pages of issue one. Guess I’m not learning much about The Shadow, unless I read more of the run. The main baddie thus far is Lazlo Valentine A.K.A. Pyg. The issue opens with Batman and Robin beating up on Pyg and his henchmen as they attempt to attack and transform NYC New Year’s Eve celebrants into Pyg’s Dollotrons. Yeah, don’t ask; it’s weird. I don’t know much about Pyg, but he’s one of the Bat’s more strange villains, and that’s saying a lot. From there, the story becomes somewhat ambiguous. I’m sure it’ll clear up as the run goes on. But I’d like to add that there is an interesting interaction between Batman and Robin that ends in a cliffhanger. I like the structure of the pages. The panes are larger where they need to be to bring focus on our heroes or high points of action in a way that forces the book to rely on the larger panels. For this reason, it’s a quick read, especially with most of the ads at the back of the book (taking a page from Archie maybe? ).